THIS EVENT IS SOLD OUT! Check out my next event in Ansonia, CT at Inspired Style Salon on March 19th! 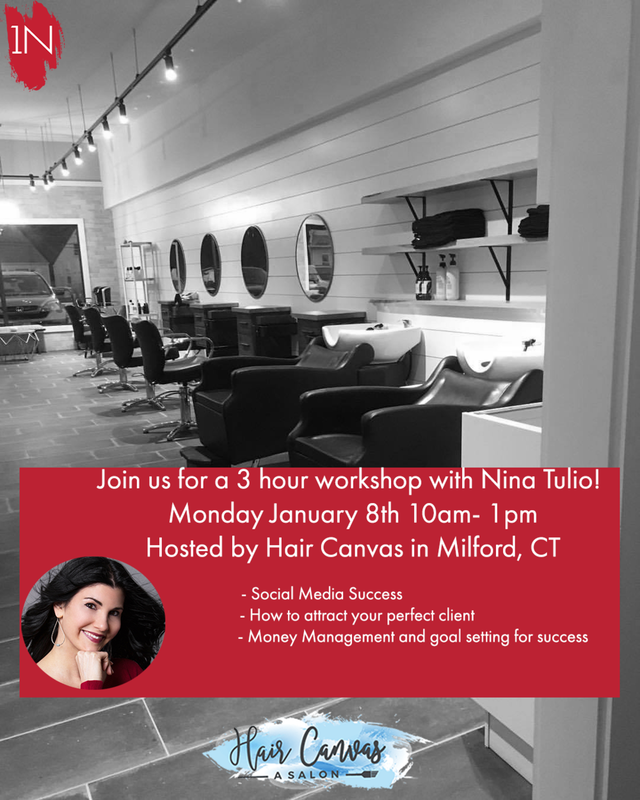 I am super excited to start off the year with an awesome worksop at Hair Canvas. Goals, benchmarks, social media, money management, and more. You name it, we will cover it. I promise you! This class will give you all the tools you need to create your own success behind the chair! I can't wait to share this day with you guys! - The importance of goal setting, benchmarks, and tracking your numbers to ensure success behind the chair! WHO'S IN? SPACE IS LIMITED! SIGN UP TODAY! I look forward to meeting each you all in person!